At the New Jersey School of Percussion we emphasize three general areas of study: Music theory, developing technical ability, and performance. Theory study begins with the basics of reading music, notes, time signatures, staff, clef signs, etc. Technique study begins with stick grip, hand position and movement. Exercises are presented to develop rebound control, sticking patterns, dynamic balance, speed, and endurance. The PAS 40 Rudiments are presented, as well as my book, Steps to Technical Development for Drummers. The performance study covers drum set rhythms, snare drum etudes, tympani and mallet etudes, Afro-Cuban rhythms and much more. 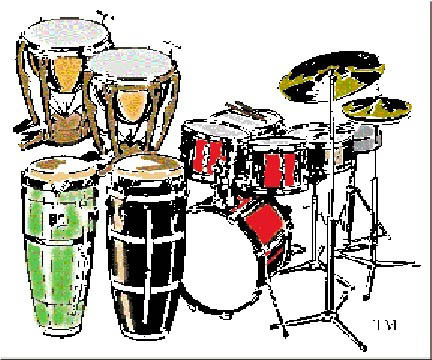 In my fifty years of teaching, I have become aware of the depth of drumming and its constant development. Understanding the history supplies a foundation to build on, allowing for the creation of new concepts.